Four years ago the world celebrated the centenary of the discovery of Machu Picchu, renowned as the famous Lost City of the Incas, and one of South America’s most revered attractions. Yet the fact that Machu Picchu turned out to be neither holy nor ‘lost’ seems to be largely overlooked by the waves of visitors who ascend upon its spectacular Sun Gate every year. The sheer magnetism of this fascinating place, means that Machu Picchu is Peru’s most famous landmark yet still one of the least understood man-made treasures in the world. Expert historians think they know why it was built, by whom and why it was left all but abandoned, yet there is still plenty about this enigmatic treasure that is unknown. Planning an adventure trip to Peru? Then get in the know before you go and discover some cool facts about Machu Picchu you never knew you needed to know! When American explorer Hiram Bingham III literally stumbled upon Machu Picchu in 1911, he thought he’d finally found Vilcabamba, the elusive ‘Lost City of the Incas’ he’d been searching for years. Irrespective of this amazing find – because the one thing Machu Picchu is, whatever its true origins, is amazing – his claim attracted much controversy, and it wasn’t until 55 years later that it was finally disproven once and for all. By then, Bingham had passed away and Machu Picchu had been immortalized with the misnomer of ‘Lost City of the Incas’. 2. In fact, it wasn’t lost at all! When Bingham arrived at Machu Picchu and sent word back home of his ‘discovery’, there were several local farming families who were living among the centuries-old ruins. Technically speaking, Machu Picchu was never lost at all, but it seems that once its inhabitants abandoned the site it was simply never again inhabited en masse, probably due to its ‘inconvenient’ location. Nowadays, Bingham is correctly credited with introducing Machu Picchu to the world, rather than discovering a long-forgotten ancient treasure. There are several facts which point to Spanish conquistadores having never reached the site of Machu Picchu. Not only was there never any mention of such a place in letters, travel diaries and documents but certain types of ceremonial stones, which had been defaced in other Inca sites in Peru, were found to be completely untouched in Machu Picchu. Considering the decimation of the great majority of Inca sites in Peru, by the conquistadores, Machu Picchu’s isolated location turned out to be its biggest asset. Today, it’s the best preserved icon of the ancient Inca world. 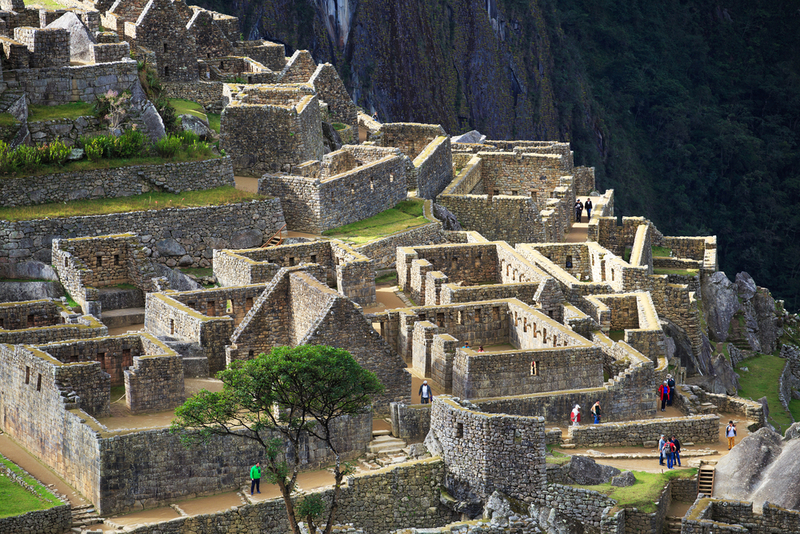 Machu Picchu was built in the late 15th century and all signs point to it being abandoned merely a century later. Many historians blame an outbreak of smallpox, introduced to Peru by Western travellers, for the decimation of the native population that inhabited this incredible city. When found by Bingham, the citadel had been almost entirely reclaimed by wild jungle and only a few locals were even aware of its existence. It was included in the UNESCO World Heritage list in 1983 and, in 2007, named as one of the New Seven Wonders of the World. 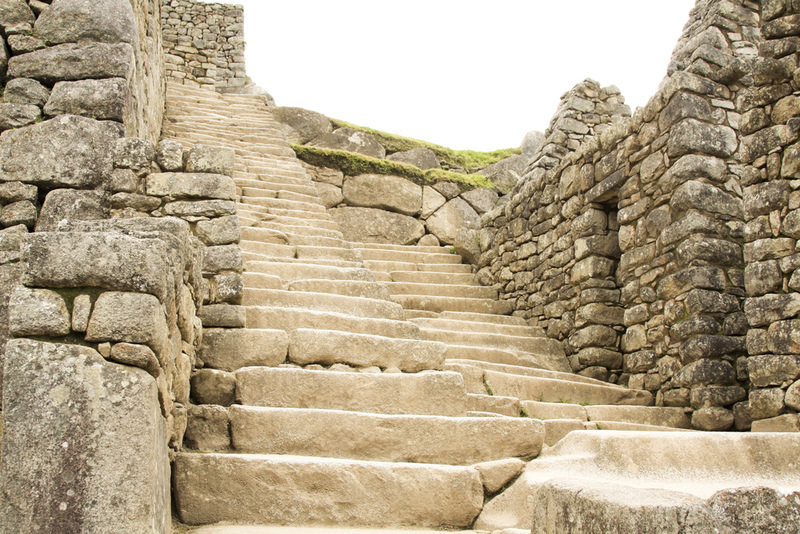 Maybe it was a ceremonial site, or perhaps it was a royal estate of a reigning Inca, truth is that Machu Picchu’s original intended purpose still remains unknown. What we do know is that, all up, it consisted of over 150 separate buildings, which included temples, sanctuaries, homes and baths. More than 100 sets of stairs are found in the complex, with most staircases carved out of one entire slab of stone, many of which weigh more than 30 kg. Renowned as some of the best stone masons the world has ever seen, the Incas were able to carve rocks and build entire cities on a puzzle-lock system, with stones fitting so well together that not even a credit card can fit between them. Examples of this incredible stone work are found on the side alleys off the Plaza de Armas in Cusco. While you spend multiple days huffing and puffing along the unforgettable Inca Trail to Machu Picchu, spare a thought for the contestants of the yearly Machu Picchu Marathon, an event that’s organized by a local tour agency. Participants must sprint along the 30km long trail, with the fastest recorded time set at just under 3.5 hours. 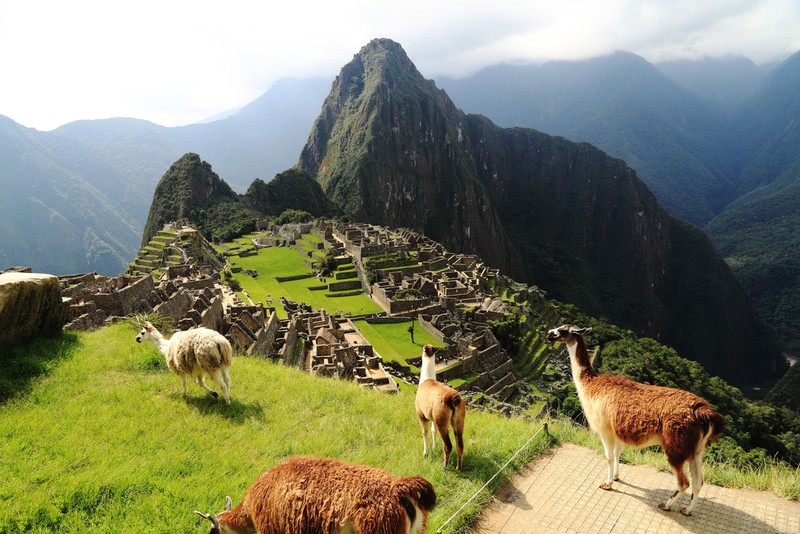 Explore one of South America’s most mystical sites when you travel to Peru, and unveil all the mysteries of Machu Picchu on the adventure of a lifetime.